One Game, One Love. | Coaching perspectives and life lessons of a Sports Psychology M.A. It’s that time of the year! In my opinion, it’s the most wonderful time of the year, sorry Christmas! 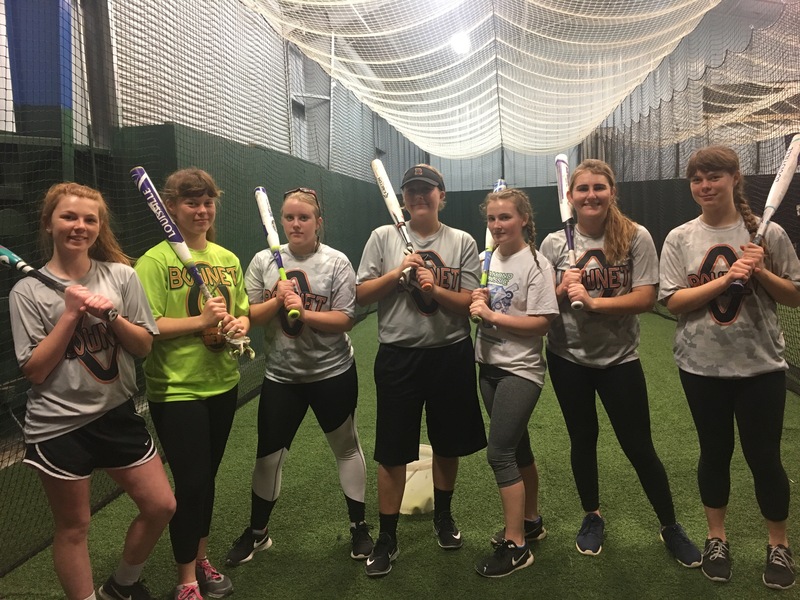 Recreation baseball and softball leagues are swinging into gear all over the place! Kids are trying out their new gear, ready to swing for the fences! … and parents are praying that someone else is going to volunteer to coach the team! Ha! This post is a shout out to you parents who stepped up and volunteered to coach the team. This post is for all those parent-coaches who aren’t sure where to start and may be wondering what in the world they got themselves into. Let me start by saying, we appreciate you stepping up and “taking one for the team” so all of our kiddos have a place to play and fall in love with the game! I know how hard the position of coach can be, especially if you have little to no experience with the game. Failure is taboo in our culture. We hide from it. We brush it under the rug. We are taught that accepting it is weakness. We are urged to get back up, dust ourselves off, and try again. I’m curious, is that always the best? Just dust yourself off and keep going? Does the rate at which we get back up and try again matter? Does it have to be immediate? I believe, sometimes, it’s best for your heart, your soul, and your growth, to pause. To pause and let the failure sink in. Reflect on it. Truly feel it throughout your whole being. Analyze it and determine its worth and meaning in your life. Over the past year I’ve experienced some BIG failures. We are talking category 5 storm type failures. Let me tell you; they knocked me down and they obliterated my heart. They were excruciating to swallow. They were hard to understand. The embarrassment was smothering. It felt impossible to accept that they happened. I couldn’t fathom dusting myself off and going back for more. Fails at this aptitude make your body cringe and skin crawl. I truly don’t think it was best for me to quickly dust myself off and get back in the game. I needed to take a long hard look at why I failed and what I wanted my successes to look like going forward. Sometimes failures are so catastrophic they make you question who you are. I needed to understand what part of that failure was mine to own, and which parts I could release to others. Was their more to my self worth? Could I find passions in other realms to fill my self image? Was I enough? In the midst of the storm I needed to decide who I was despite the failures. With time, perspective sets in. You get to see the reality without the emotion. It’s no less devastating, but your heart comes back to fight for you and it allows you to put the failure in its place. It allows you to see if for what it really was. It allows you to take the lessons learned and simply leave everything else. Failure can be devastating but it isn’t everything. We all fail. Everyone fails. It’s not as taboo as our culture makes it. Without failure there would be less understanding, less learning, and less perspective taking. Failure is imperative in any journey. You need it. For catastrophic failures, let them sink in. Don’t get whirled into the belief that you’re weak if you take a moment to breathe. Allow yourself the time needed to check in with your soul; decide what the failure(s) means to you. File them where they fit. Grow from the lessons. Tip toe back out there when your heart is ready and merge into your lane with a new outlook. Find those who are there rooting for you, and embrace them every step of the way. Or don’t. Maybe your reflections will lead you to a completely different path entirely. Either way, it’s okay. When faced with a catastrophic failure that shakes your whole being, take care of you. Listen to your heart and make the decisions you need to feel like you again. Don’t be pressured by the labels of society. You are not weak. You are not a failure. You are you and that’s something worth taking care of. Slumps are tough for kids. They begin to feel like no matter what they do they are never going to get a hit. It tends to snowball into more of a mental hang up than a physical one. As parents and coaches we know dips and peaks in performance are normal, especially for our young athletes. So what can you do to help them get out of their funk before the negative mindset tarnishes their confidence? In order to help them regain confidence in their athletic abilities it is helpful if you reframe their definition of success at the plate by focusing on what they can control. The goal shouldn’t be to get a hit because technically you aren’t in control of that. There are too many factors at play – umpires, pitchers, fielders, score keepers etc. The goal should be to have a good or productive at bat. What does having a good at bat look like? 1. Productive mindset. This is a HUGE idea with so many ways to instill it but I’ll try to keep it simple. Explain that their thoughts need to help them succeed. They can’t just have random thoughts that wonder through their mind at the plate, nor can they have negative thoughts that hinder their performance at the plate. They need to have thoughts that will help them produce the outcome they want. Think of three things they can say to themselves in the on deck circle and in the box that will lead them to success. Have a mix of confidence boosters and mechanical cues. (Examples – 1. I’m a powerful hitter. 2. keep my hands high 3. Keep my weight back. Or 1. Step early. 2. I’m a great baseball player 3. See it and crush it.) Make sure these statements are phrased in an outcome focused manner. Have them say things they want to accomplish as opposed to things they want to avoid. (Example – Keep my hands high vs. Don’t drop my hands). 2. Strong Body language. Strong body language is a much more tangible expectation than simply saying “Make sure you look confident at the plate”. Have your athlete practice showing strong body language and weak body language so they understand the expectation. 3. Swinging at the right pitches. Batters never get to choose which pitches they are thrown but they can choose which ones they swing at. Swinging at good pitches is imperative to having a productive at bat. 4. Swinging well at those selected pitches. They’ve chosen which pitches to swing at, now they must also swing well at those pitches. Did they use the proper hitting mechanics that their hitting coaches have been instilling in them? Use these things as a checklist after every at bat. Did you have a productive mindset? Did you have strong body language? Did you swing at the right pitches? Did you swing well at those pitches? You can do this with them in the backyard or at the cages to instill the habit and begin to switch their perspective on success. Practice “real” at bats with them. Before the at bat make sure to give them time to do their 3 mental statements. It may help if you do it out loud with them. Then have them step in the “box” with strong body language. After each at bat go through the checklist with th em. Use the no answers as moments to coach and improve. Use the yes answers to deliver well deserved praise! Focusing solely on the things they can control makes success feel more tangible. When hitters, especially kids, are in a slump (on a side note, don’t use that word when speaking to them about their performance) getting a hit feels like something that happens by chance. Like all these factors have to magically align and then they can finally get a hit. They relate it more to luck than talent. By focusing on the controllable things they’ll feel more confident because they will begin to realize that they play the biggest role in their success at the plate. WARNING. This isn’t an over night fix. Switching their definition of success takes consistency and time. I urge you to try and always use this language when talking about hitting with them. Your language will dictate the language they use in their head with themselves. By speaking this way about hitting they can use their hitless at bats as learning opportunities because there are specific things they can change/ fix. When they do get a hit (which they will because they are focusing on the process which is how hits happen) they will well up with confidence because they will know it wasn’t chance or luck. It was their deliberate hard work. As adults we have the ability to see the big picture. We know that our decisions, actions, and behaviors will play a role in our future lives. We may not know the size of the role, or the type of role, but we are able to foresee the possibility of an impact. We’ve earned that perspective. As an adult myself I am often surprised by the reality of that impact once the future arrives in my present. Especially for those past decisions that have made a significant impact on my current present. Even with a decent amount of life experience under my belt it’s hard to understand how my future self will cope. It’s hard to empathize with the struggles that haven’t happened yet; it’s hard to feel the pride in the victories that are yet to come. When the future arrives in my present the reality feels more overwhelming than I originally imagined. Time and time again I am surprised that decisions and circumstances that felt so small can seep so deeply into so many different facets of my life. As hard as it can be for adults to take into consideration how our present selves can impact our future selves, for children, it’s even harder. They haven’t had enough time to understand the big picture. They are still trying to figure out how to function as a human. The present is overwhelming enough as it is; they don’t have the resources to consider the future. When I was a freshman in high school I had earned a spot on the varsity softball team. I had hopes of playing in college and this was an exciting stepping stone to one day meet that goal. Towards the end of my sophomore season I started to feel a pain in my throwing shoulder. It progressively got worse as the season went on, and by the time tournament ball was well under way I knew something was wrong. My heart was dedicated to my teammates and my eyes were fixated on my dreams of playing in college. Through the lens of my young perspective admitting I was hurt would only disappoint my coach and crush my collegiate dreams. I kept playing without complaint until midway through my Junior season of high school ball. The pain was constant and I had lost significant strength. Being a pitcher, the change in my performance was obvious. I finally had to admit what I had been dealing with. It turns out I had frayed the labrum in my shoulder and I would need surgery to rivet it back onto the bone. Due to the timing of the surgery and the length of the recovery process I lost out on my biggest recruiting season. I was angry, broken hearted, and defeated. These emotions served as my motivation to make it back on the mound for my senior high school season. I raced through the recovery process, fought through the pain, and started my senior season alongside my teammates. The next year I ended up playing for the local Junior College team. My dedication to the sport and my teammates continued; I allowed my coach to over use me on the mound even though I knew it wasn’t best for my shoulder. It didn’t matter to me. My teammates and our performance mattered to me. I would have done anything to contribute to our success, even if it meant sacrificing my health. Finally, in my junior year, I made it to the big leagues; I finished my collegiate career playing for a Division II state school. I may have achieved my goal of playing collegiate softball but my shoulder was never the same. To this day I deal with ache’s, pains, losses in strength and mobility. There are activities and experiences I avoid because I know it will cause pain to my shoulder. Simple things like shopping – moving hanging clothes across a rod, holding my cell phone up to my ear to have a phone conversation, or cradling a baby all irritate my shoulder. Dedicated athletes, especially young dedicated athletes, are near sighted. Their whole word is in the present. It’s hard for them to fathom their life after sports. In their eyes that life doesn’t matter unless they perform right now. Is that dedication to the sport, their teammates, and their dreams beautiful? Absolutely, without question. Is it also concerning? I think so. Especially when you take into consideration injuries that affect the brain, like concussions. I feel lucky that my injury was simply to my arm, and not something as sacred as my brain. The culture of competitive sports often puts the success of the team before the health of the athlete, or even the coach. Those who miss practices or competitions to heal their bodies are often portrayed as weak or less dedicated. It’s almost as if sport forces us to ask our bodies for forgiveness rather than permission. We take less preventative measures because we don’t want to miss out on the present. This culture of pushing our bodies to the limit is so deeply rooted in our hearts as athletes. If you play through the pain you are elite, you are dedicated, you are tough. You are tough. This seems to be the ultimate compliment an athlete can receive. I still struggle to listen to my body when it comes to competitive situations. I still push myself farther than I should. It’s easier for me to see the big picture for others. I can help my athletes make healthy decisions; I can help my friends make healthy decisions. For myself, however, it’s a different story. I am still influenced by the athlete mentality; I still am deeply committed to prove my worth. To prove my dedication, my abilities, my toughness. Was it all worth it? That’s a question I still can’t answer. As most athletes say; I wouldn’t change my decision, I would do it all over again in a heartbeat. It’s baffling isn’t it? Even in hindsight, knowing the consequences, we still choose our sports career over everything. It is an extremely influential culture. When I began to write this I wasn’t sure where I was I going to end up. I wasn’t sure if there was going to be an answer or a final message. I guess it brought me to awareness. Everything starts with awareness. As coaches, parents of athletes, and athletic directors we need to be aware of how influential the culture of sport is in our athletes lives. How influential we are in our athletes lives. Athletes themselves need to recognize how influential sport is in their lives. How much it’s socialized into them. Sport makes a life long impact. The lessons athletes absorb and the things they learn to value are deeply rooted in the soul of who they become. We need to always be aware of their future selves. We need to be aware of the imprints we are leaving on their hearts and in their paths. I am now in my second year of teaching special education. My experiences and schooling has bettered my understanding of how students learn, and even how athletes progress. In teaching, there’s a rule that states, “Don’t ask your students to do anything you haven’t taught them yet”. In coaching, this happens constantly. 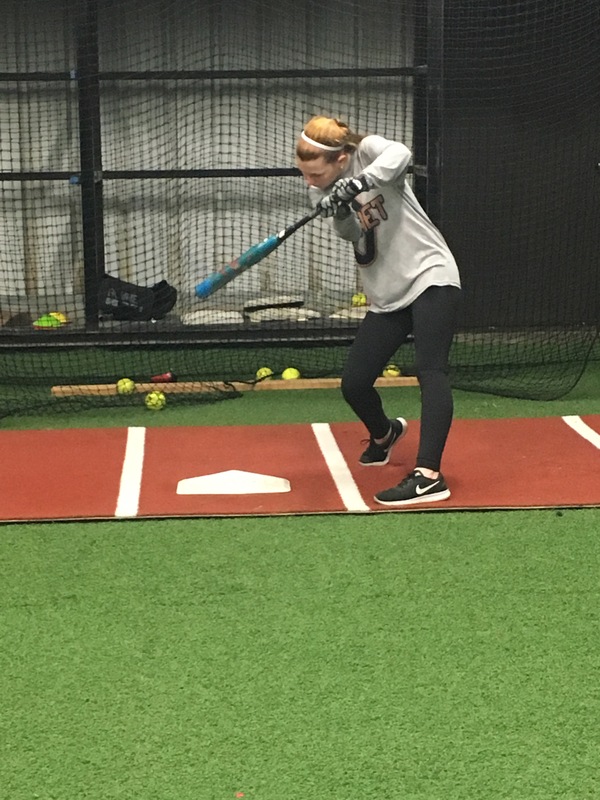 Coaches move right into hitting fly balls or turning double plays in the first few practices without covering the basics of what they’re looking for. I remember watching a coach, run a fly ball drill, and each athlete wasn’t performing as the coach had expected them to. A majority of their players weren’t using the correct footwork to move to the ball. At this particular practice, they had a college player as a guest. This player was executing the drill properly, dropping her hips and crossing over to move to the ball. She was eventually highlighted to the other girls, and immediately everyone’s performances improved. The rest of the team suddenly understood what was expected of them, and they were then able to perform properly. There is a simple way to integrate teaching skills before asking them to be performed – setting objectives. In teaching, it is best practice to have the objective of the lesson written on the board; ‘Today we will determine the greatest common factor between two numbers”. After reading over and explaining this to students they are aware of what the goal is and why they are completing the work at hand. With this information, they can self-monitor their progress throughout the instruction. It gives their work purpose and also helps the teacher to keep each lesson focused and productive. In the coaching world, this best practice can easily be implemented it just looks slightly different. Experiencing skills in multiple forms helps them grasp new expectations and skills. I always make my athletes, see it, hear it, say it, and do it. Making your athletes say the skill out loud helps to prime their brains and bodies for the movements; it helps them remember the skill and execute it. After you have gone through these directions with them a few times or a few practices, it is something you can do quickly and easily before each drill. The coach can simply ask what am I looking for? The players should be able to easily repeat the objectives of the drill. After I began using this strategy with my players it immensely improved the focus of our drills. My athletes explicitly understood what I was expecting of them and they were able to comply. They now had a rubric for their performance.